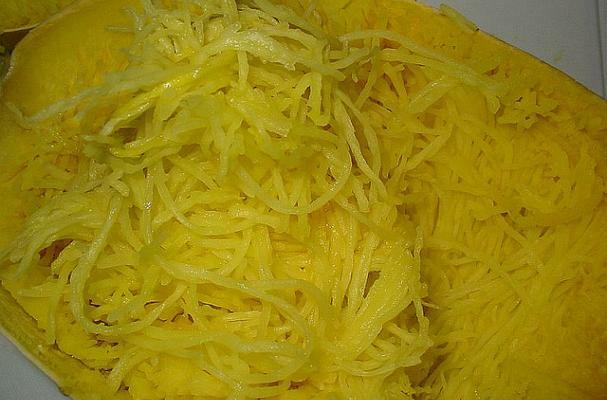 Spaghetti squash gets its name for the noodle-like strands that occur once it's cooked. A classic way to use this squash, is with tomato sauce and cheese. If you're ready to take this delightful winter squash to the next level, then try this Mediterranean-inspired recipe. Serve it with your favorite protein and sauteed seasonal greens for a healthy and tasty seasonal meal. I love spaghetti squash, so much fun. Apparently do need to be careful not to overcook though, last time I cooked with it I just got squishy squash!